On 6 October Typhoon Kong-rey made landfall on Korea’s Jeju Island, bringing heavy rain and extreme winds, before heading for the mainland. Jeju Island is known to produce citrus and kiwifruit, with some kiwifruit grown/sourced by global heavyweight Zespri. The typhoon caused havoc across the country, with Yeongdeok, on the country’s mid-east coast affected the worst, and devastation as far north as Korea’s capital, Seoul. According to The Korea Times, 660 hectares of farmland was damaged across the nation. 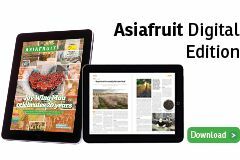 “Fruit trees did not bud due to the cold weather in the spring and it was dry in the summer,” said a farmer from South Chungcheong Province. “Now the wind has blown all the apples from the trees. “Autumn is the harvesting period, but it is no good now,” he noted. 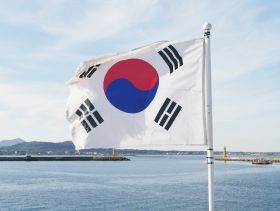 A reportedly hot summer has been more of a concern to domestic Korean production, causing a shorter apple, pear and grape season. Across the country, infrastructure and transit lines including breakwaters, roads, railway, and greenhouses have been damaged.